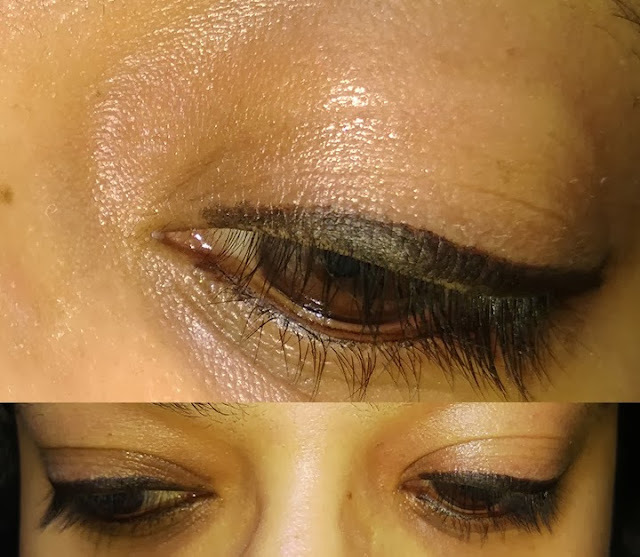 The latest trend in eye makeup is kajal. Every popular brand is coming up with their version of this age old trick to get magnificent pair of peepers. 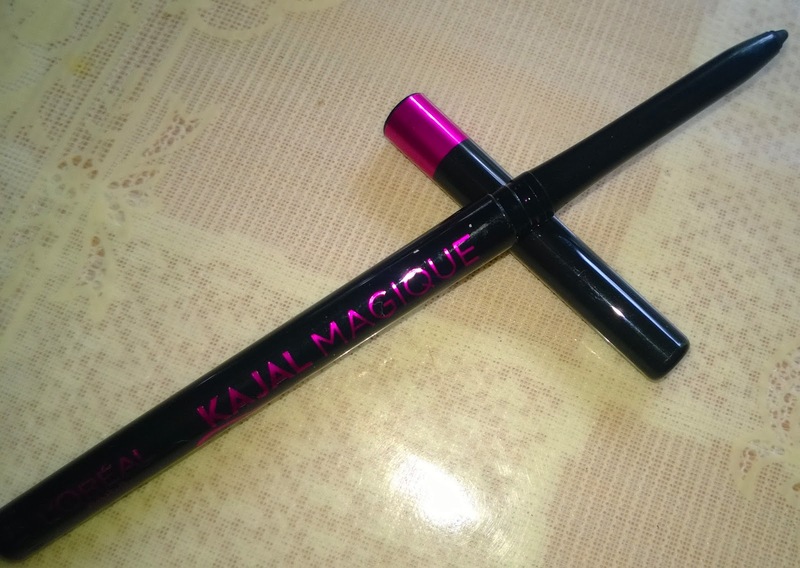 The latest to make an entry into this genre is the L'Oreal Paris Kajal Magique. 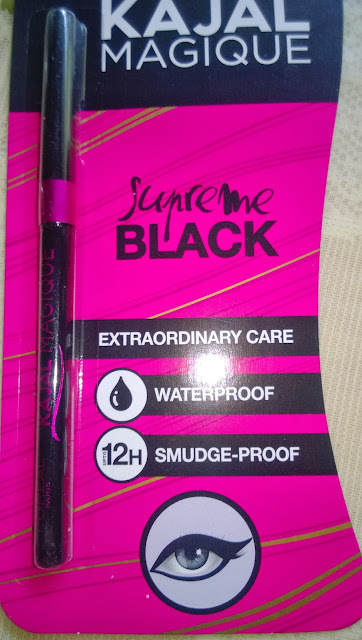 Packaging: The packaging is intense and attractive as the kajal comes in a Pink& black sealed cardboard cover. 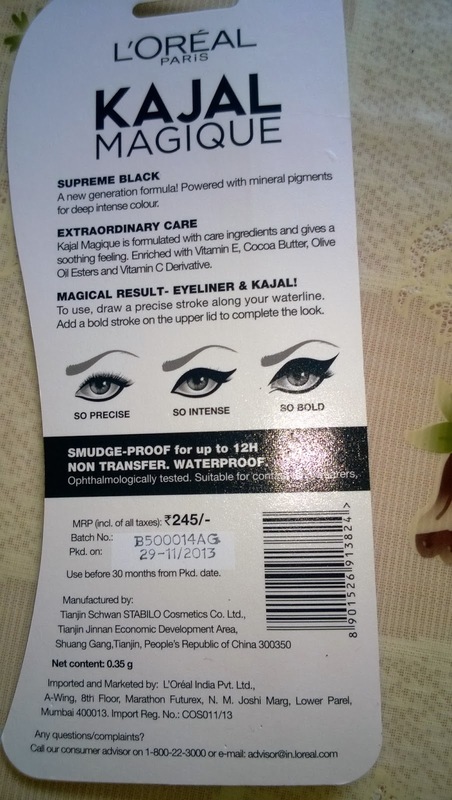 Once you open the plastic, you can take out the kajal. 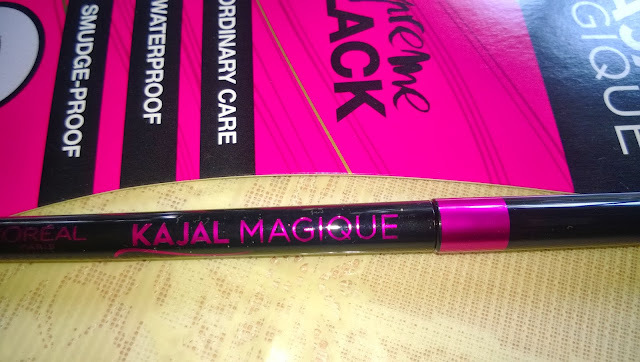 The body of the L'Oreal Paris Kajal Magique is lovely with a black overall body and dark pink border at the mouth of the cover. The product name is written in the same dark pink colour on the body. 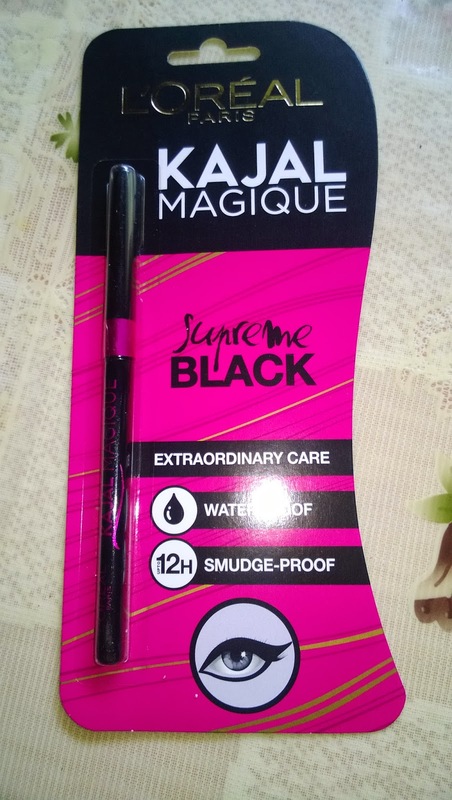 Product Information: Described by the brand as the Queen of All Kajals, L'Oreal Paris Kajal Magique is supremely black, waterproof & smudge-proof for upto 12 hours thus making it a long-lasting kajal. It gives the eyes a soothing feeling and the extraordinary care it needs. Ingredients: It is enriched with a new generation formula and mineral pigments that includes Vitamin C & E, Cocoa butter & Olive oil. My Experience: First of all I love the packaging of the product. It looks very chic and trendy. The other good thing about it is the amount of product that is available. The L'Oreal Paris Kajal Magique can be carried easily inside the tiniest of bags, due to its sleek body. The product is really creamy in texture and glides on smoothly on the skin. It is not the most intense black that you get. You need to apply a few strokes to get an intense effect. Its staying power is quite good and it almost stayed as it is for 5-6 hours after which it started to get smudgy. The retractable twisted option is a boon in one sense, as there is almost no wastage, while it can be difficult to create very fine or precise lines, as there is no scope to sharpen the tip. 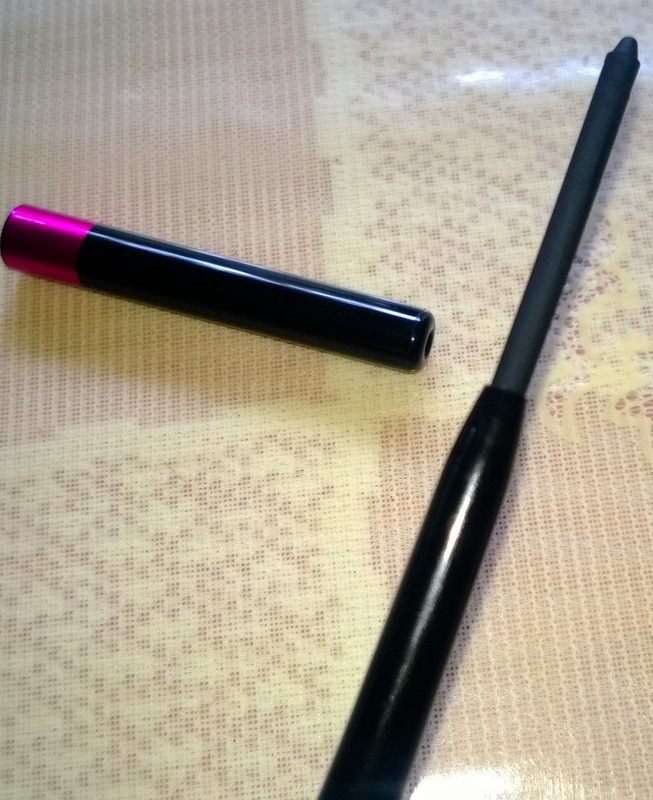 However, I completely adored the product and will make it my everyday eye makeup tool from today. L'Oreal Paris Kajal Magique is a very good and affordable product that can be used on a daily basis. I would definitely repurchase the product and would recommend it to all. *PR Sample from the brand. My review is from my personal experience and 100% honest.